How to Fix SD Card Got Corrupted on My Android Phone? SD card is not a 100% secure place to save your data on your phone, for it may get corrupted one day. If it unfortunately happens, please calm down. Here, you will learn about some ways to fix your SD card corrupted on Android and avoid your data losing in corrupted SD card. SD card is popularly used as expandable storage on the majority of Android devices. You can send and save your phones, videos, music, app or other documents in other types to SD card so that you can release your memory space on your Android phone. Therefore, it seems troublesome if your SD card gets corrupted and all the data you saved on it goes away. Even though it is difficult in recovering data from a damaged memory card, it is also possible for you to recover data from a corrupted SD card. Several methods will be introduced to you to fix a corrupted SD card. Mostly, your phone tells you with notice once your SD card gets corrupted, "Damaged SD card: SD card is damaged. Try reformatting it." You can also find other symptoms or clues to induce that your SD card is in a corrupted status. The SD card is recognized but has no saved files in it when connected to a PC, at the same time, showing the message"SD card is not formatted do you want to format it now." Newly created files on SD card do not permit you to copy and delete or even view on them. If you are trapped in one of the symptoms above, your SD card has been corrupted and you may try on some methods to recover the inaccessible data. It would not be a useless behavior to try your SD card again on other devices to make sure whether the SD card is corrupted or not. Most of the time, SD card doesn't work because it is incompatible with your Android phones. In such a case, you can connect your SD card to a PC and restore your data. Step 1. Remove your SD card from your Android phone and connect it to a PC through a card reader. Step 2. Right click on My Computer and select Manage. Step 3. Find and choose Disk Management on the left side. Step 4. Until the Virtual disk service is loaded, choose Change Drive Letter and Paths by right clicking on your SD card. Step 5. Click the drive letter and then select Change. Step 6. Choose the right drive letter and confirm OK, then check whether the SD card can be recognized or not. Using Chkdsk Command need a conduction with a PC or a computer to further fix your SD card getting corrupted. Step 1. Start Command window on your computer or PC. You can open the search bar by pressing Windows + S and type cmd on the search bar. Then the Command Prompt occurs and right click on it to run as an administrator. Step 2. Connect your SD card in a card reader to the computer. Check and remember the drive letter on My Computer. Step 3. Type "chkdsk" with the Driver Letter of your SD card, a colon and /f following on the Command window. For instance, if your Drive Letter is G, you are supposed to type: chakdsk g: /f. Step 4. Press Enter and wait for the computer to fix your corrupted SD card. Step 1. Connect your SD card in a card reader to a PC. Step 2. Right click on your SD card on My Computer. Step 3. Then select Format and click Restore Device Defaults > Start on the pop-up window later. Step 4. Uncheck the Quick format option to make your PC deep scan the SD card, if you are willing. Step 5. Wait for the PC to fix your SD card. Be careful: Formatting your SD card means to ERASE all your data in it. As for an Android smartphones user, you may care more about the SD card for expandable storage. However, there is neither an SD card 100% to securely store your data nor a tool 100% sure to help recover your lost data. Thus, you are about to be aware of possibly losing your data some day. An SD card has a limited lifespan. On average, one SD card can carry out write or erase functions around 10000 times. Therefore, you may need to change a new SD card after several years' use and transfer the data in the old one. What' more, you need to back up some important data in your SD card on your PC as well. 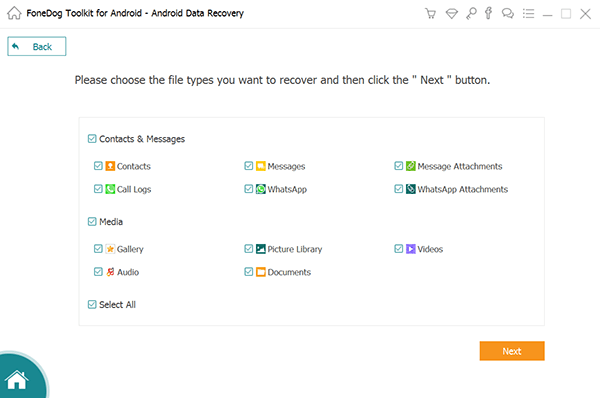 You can use FoneDog Data Recovery selectively recover your data and the deleted data, or the software, FongDog Data Backup and Restore, a specialized software mainly to backup Android data. At last, thanks for your reading and hope the methods above will be useful for you. In addition, hope FoneDog Android Data Recovery can help you find the lost data back. > Backup > How to Fix SD Card Got Corrupted on My Android Phone?